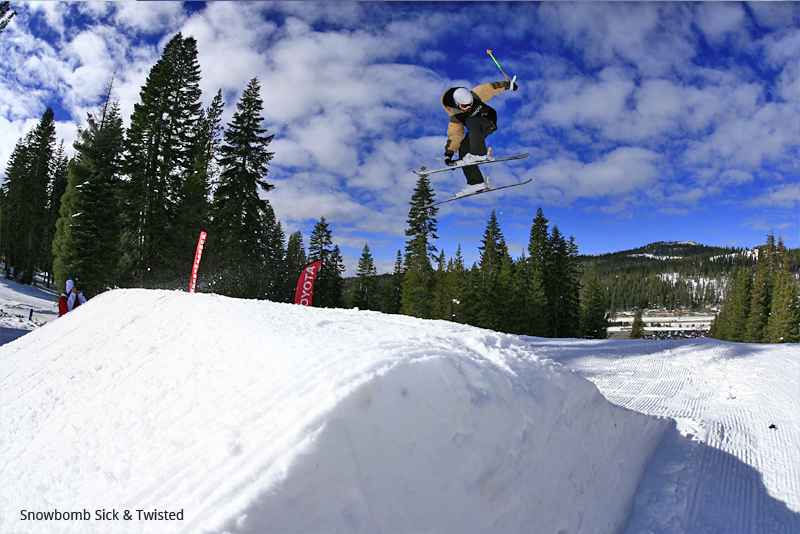 Boreal Ski Resort is the first and only all-mountain terrain park in the Lake Tahoe region. This quaint resort offers many fun adventures compacted into its 480 acres, making it attractive to legions of snowboarders as well as families seeking an enjoyable and affordable adventure. The average snowfall is 400 inches, so you will want to check out Boreal web cams for accurate and up-to-the-minute views of mountain conditions. With 41 trails to explore accessed by eight lifts, plus a vertical rise of 500 feet, those who ski Boreal can expect to navigate exciting tree runs and complex gullies, plus a tube park with its own magic carpet lift. 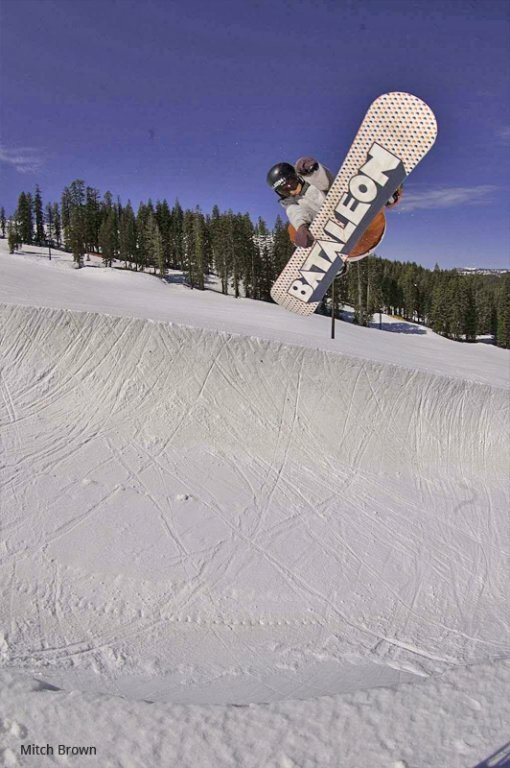 The resort’s three awesome terrain parks are a favorite of snowboarders and include the Superpipe. 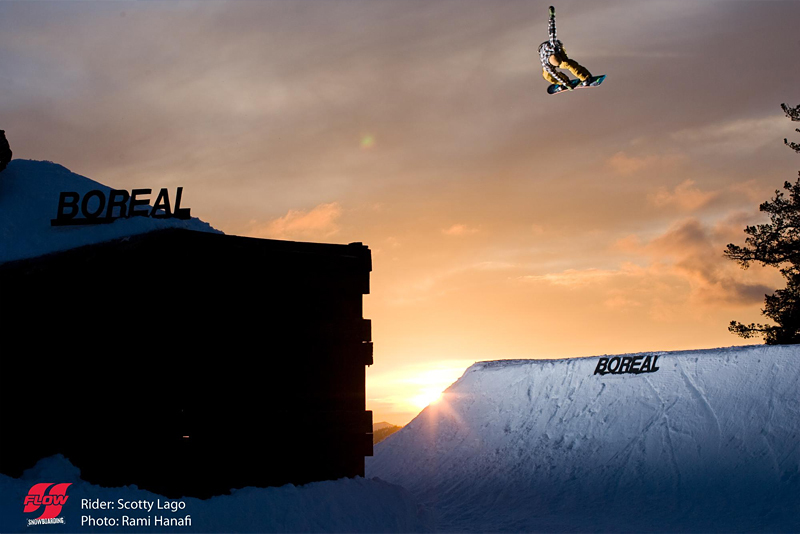 The Boreal’s state-of-the-art BagJump is an amazing action sports training device that will help you perfect your next trick. This 50-by-50 foot cushion will absorb the impact of your landing with maximum softness. 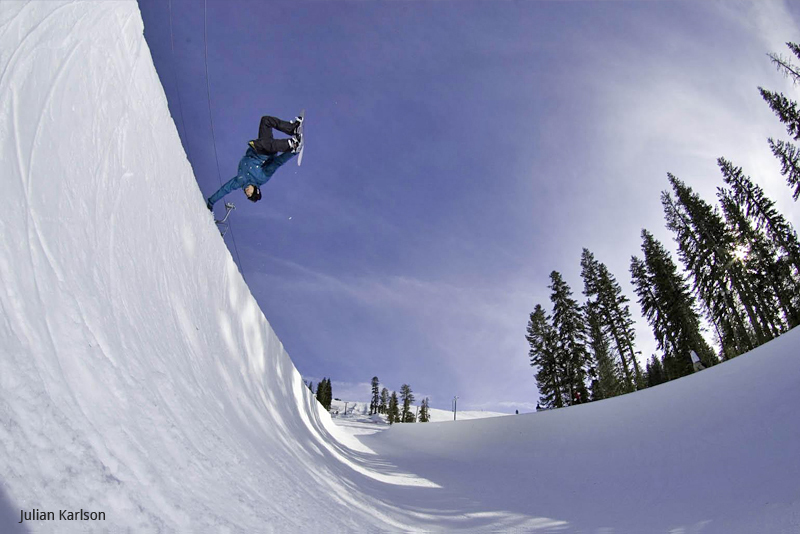 Boreal’s Woodward Tahoe, open to visitors summer 2012, is an action sports facility that has terrain parks and snow features for free-ride and free-ski practice. 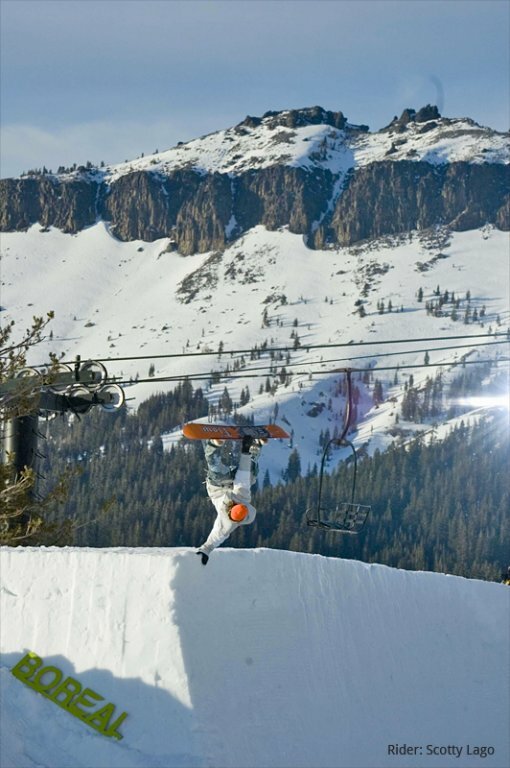 This facility offers classes and camps to improve snowboard, ski, skate, BMX, cheer, gymnastics, and film making skills. It offers year-round instruction and camp programs for any level, from beginner to advanced athletes. The indoor ski and snowboard ramps, skate park, foam pits, trampolines, digital media area, and the outdoor park and pipe area are phenomenal. Boreal is conveniently located on Donner Summit just off Interstate 80. It is about 9 miles from Truckee, CA, 40 miles from Reno, NV, and 90 miles from Sacramento, CA. This makes it the closest Lake Tahoe ski resort to Sacramento and the Bay Area in California. You will definitely want make Boreal a part of your vacation this season. 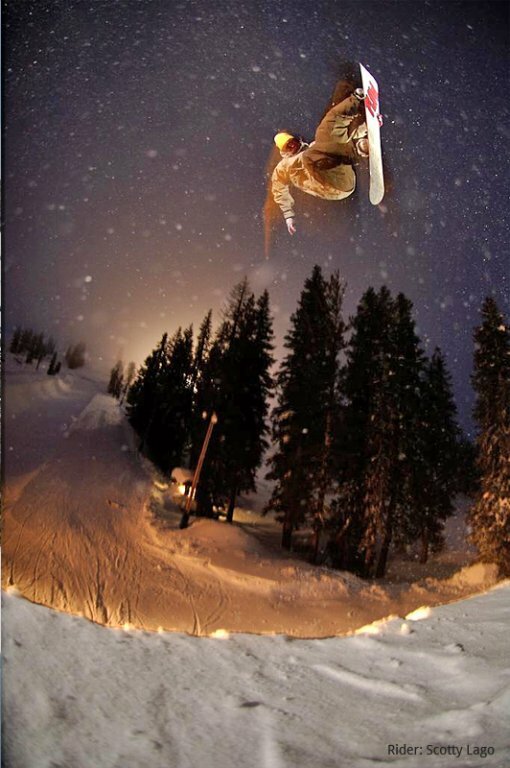 Like so many Lake Tahoe ski resorts Boreal has a lot to offer. 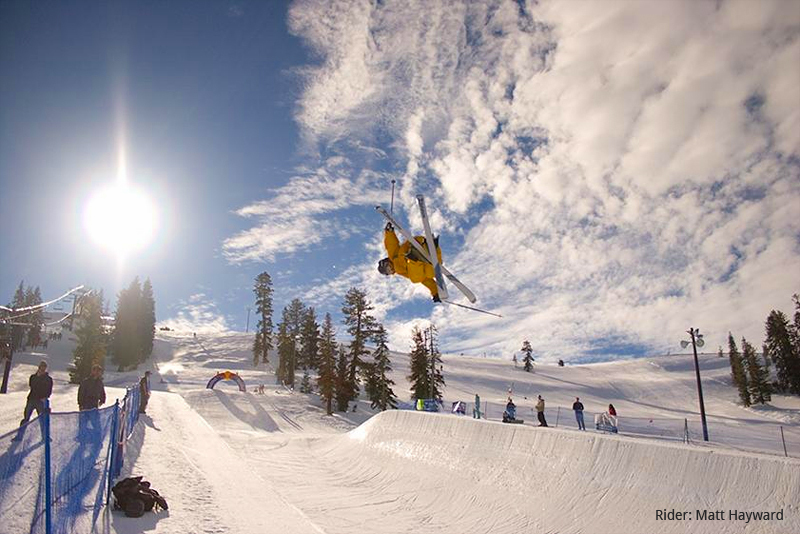 Expand to other local resorts with our Lake Tahoe ski resorts map. There is something unique and special at each Lake Tahoe ski resort. Hours of Operations (PST): Lifts: Daily from 9am to 9pm.